When you use public transport, it’s basic courtesy to offer your seat to someone who may need it more than you do. If you see an elderly, disabled, or pregnant person standing, you should get up and tell them to take your spot. Exacerbating the matter further is the fact that most people are often too engrossed in their smartphones and tablets to be considerate. According to a 2016 survey, 36 percent of expectant mothers regularly have to stand up because of this. 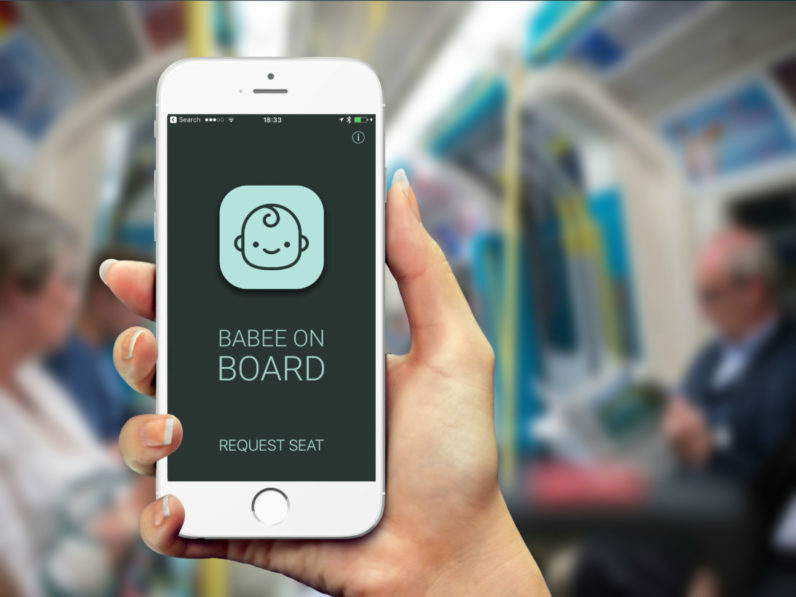 With an aim to solving this problem, London-based creative agency 10x has launched ‘Babee on Board‘ – a smartphone application that sends out a notice to anyone in the nearby vicinity that an expectant mother is in search of a seat. Babee on Board consists of two parts. The first is the Babee on Board: Request Seat app. This costs £3.99 (roughly $5), with 100 percent of the profits going to Project Healthy Children. There’s also the Babee on Board: Offer Seat app, which will show you a push notification whenever a pregnant woman is looking for a seat on the tube. This app is free, and is extremely energy and storage efficient, consuming just 1 percent of battery life, and 7MB of space. Both apps are available for iOS, with an Android version due later in 2017. Crucially, it also works in the London Underground where there is often no phone signal, as the app uses Bluetooth rather than cellular data or WiFi. Babee on Board has its origins in a physical product envisioned by 10x. It initially conceived the idea as a smart badge which, when pressed, did the exact same thing as the request seat app. After 12 months of testing, the company decided to re-launch the product as a smartphone app. While the idea is certainly clever, it requires that the populace not only download the app, but also leave Bluetooth turned on – which could pose a security risk and also consume additional power on some devices. Right now, 10x is looking at partnerships to put Babee on Board in the hands of more London commuters. It believes that apps like Google Maps, Apple Maps and Citymapper and Uber could easily integrate the feature into their product. In the meantime, you can download it for yourself from the App Store.